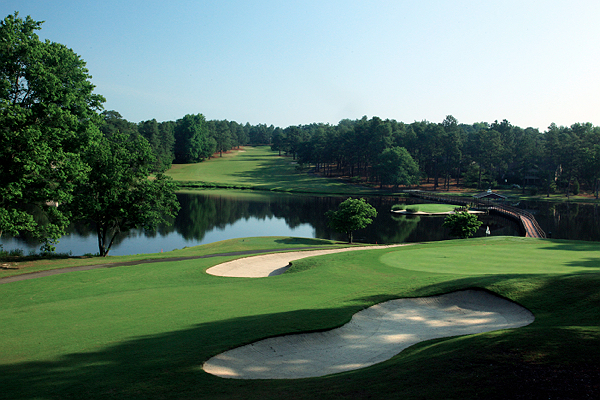 Choose 7 Lakes as your golf destination and discover not only a “Golf Course of the Year,” but the beauty that is Sandhills, NC. A favorite among traveling golfers, as Golf Digest says, you can “plan your vacation around it”. Designed by Peter Tufts III, godson of Donald Ross, the highly acclaimed course is consistently awarded a 4 star rating by Golf Digest, is ranked as one of the Top 100 courses in the state, and has been recognized as the National Golf Course Owners Association “Golf Course of the Year” in the Sandhills of North Carolina for 2010, 2011 and 2012.